Allied Bank is proud to have signed a strategic business alliance with Serene Air. ABL now provides its Credit and Debit Cards customers with yet another strong proposition, whereby ABL cardholders can enjoy 20% discount on purchase of tickets through Serene Air office across Pakistan. The agreement, was signed by Mr. Faisal Nadeem Siddiqui, Group Head, Digital Banking Group – Allied Bank and Mr. Sohail Gul Khan, CEO, Serene Air. 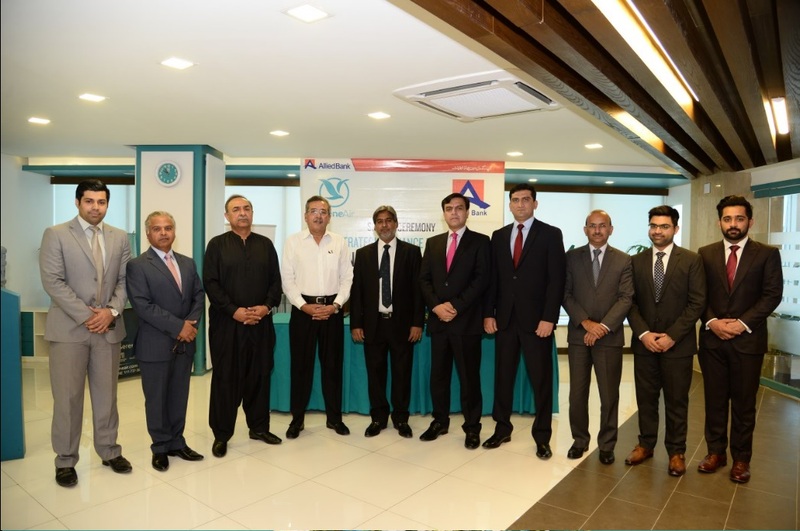 Mr. Muhammad Safdar Malik, COO, Serene Air, Mr. Faizan Ahmed, Manager – Sales & Marketing, Serene Air, Mr. Mirza Hussnain Raza, Group Head – CRBG (North -2), Allied Bank, Mr. Salman Ahmed Malik, Divisional Head – Sales & Alliances, Allied Bank and others were also present during the signing ceremony. On this occasion, Mr. Faisal Nadeem Siddiqui – Group Head, Digital Banking Group, ABL said. “This strategic alliance with Serene Air brings us closer to provide our customers with exceptional and high quality services and thus enhance our customer experience. Allied Bank and Serene Air both have made a priority to provide their customers the very best of services and this synergy has brought both entities closer. We further believe that this partnership will play as a stepping stone in fostering a very strong mutually beneficial business relationship between Allied Bank and Serene Air”.